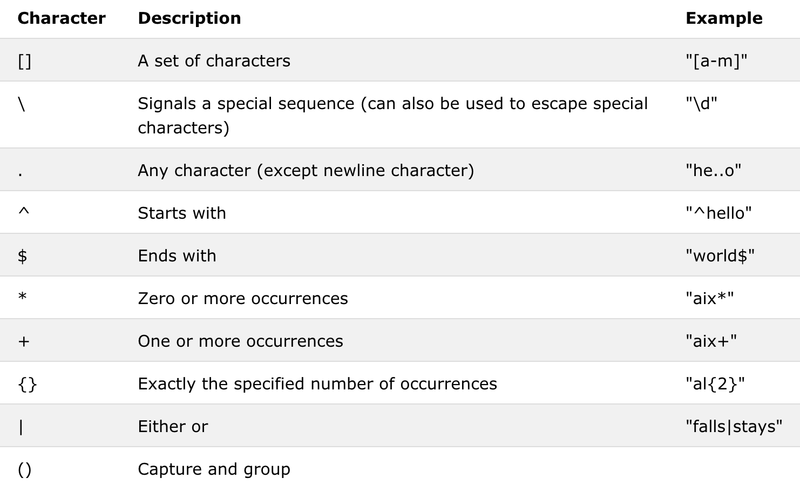 Definition : A RegEx, or Regular Expression, is a sequence of characters that forms a search pattern. 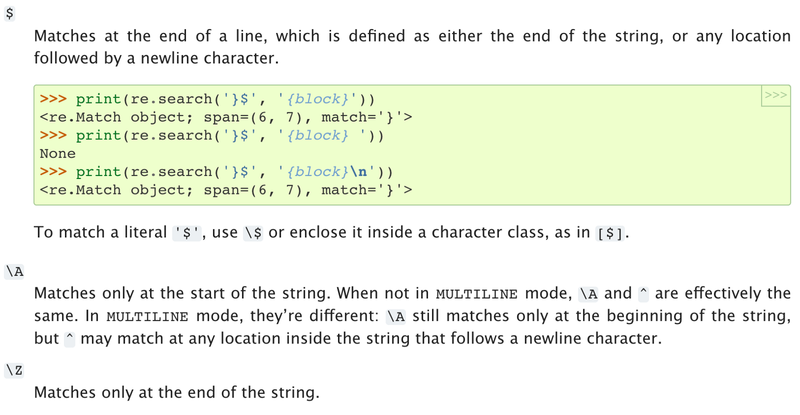 RegEx can be used to check if a string contains the specified search pattern. Import the regex module with import re. 3. 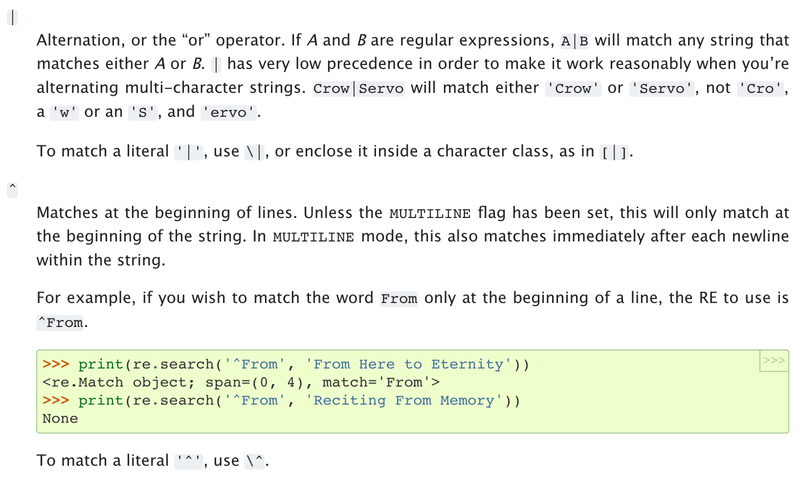 Pass the string you want to search into the Regex object’s search() method. This returns a Match object. 4. 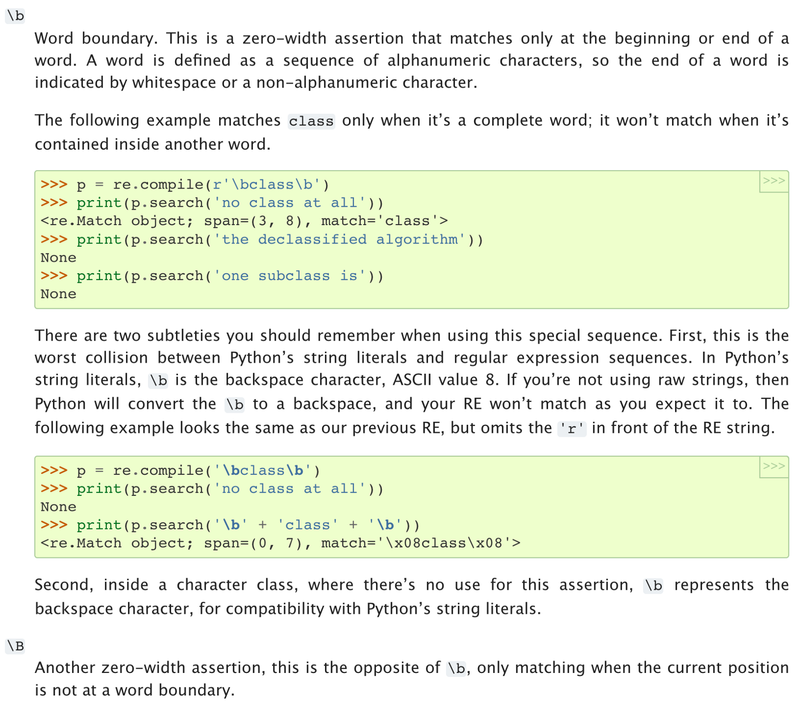 Call the Match object’s group() method to return a string of the actual matched text. Note: You can find all matching occurrences with the findall() method. months_date_with_para2: e.g. match the format of the third of Oct.